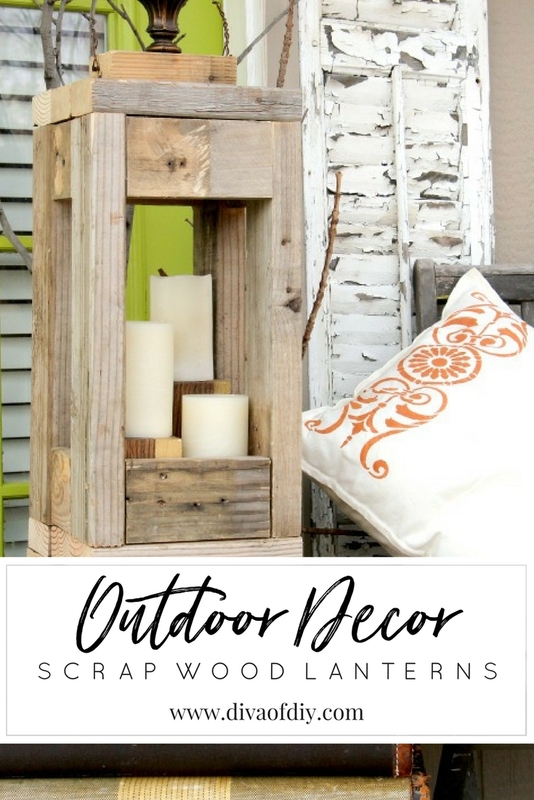 Brighten up your front porch and your backyard with these easy DIY Outdoor Lanterns using scrap wood. An inexpensive way to decorate your outdoor space that anyone can make. 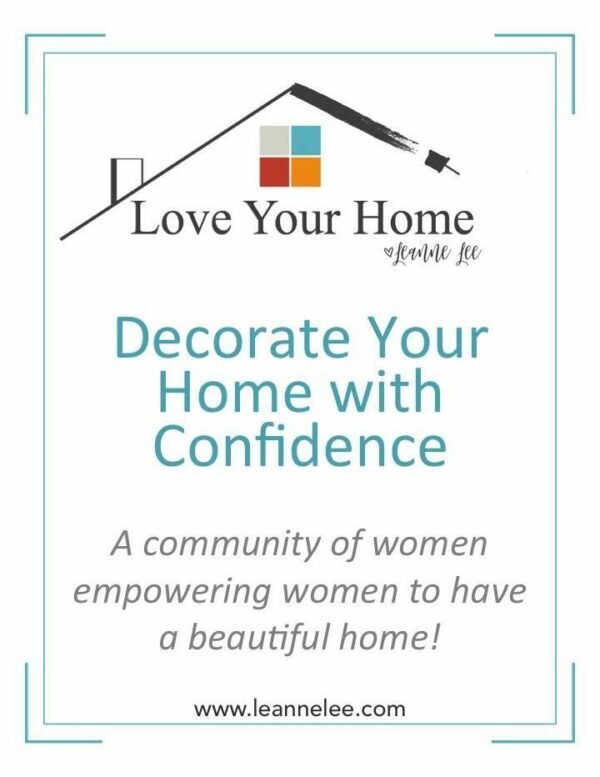 First of all, you know I love a great DIY project but I especially love when I can use leftover supplies from other projects to make new projects. And, guess what? That’s exactly what I did with this fabulous project. I was shopping for patio furniture over the weekend and fell in love with all the outdoor lanterns that I kept seeing but I was not in love with the price tags. The DIYer in me knew that I couldn’t spend that much on something that I could easily make myself and I was right – I took a few pieces of scrap wood that I had in my workshop and whipped up these gorgeous Scrap Wood Lanterns. 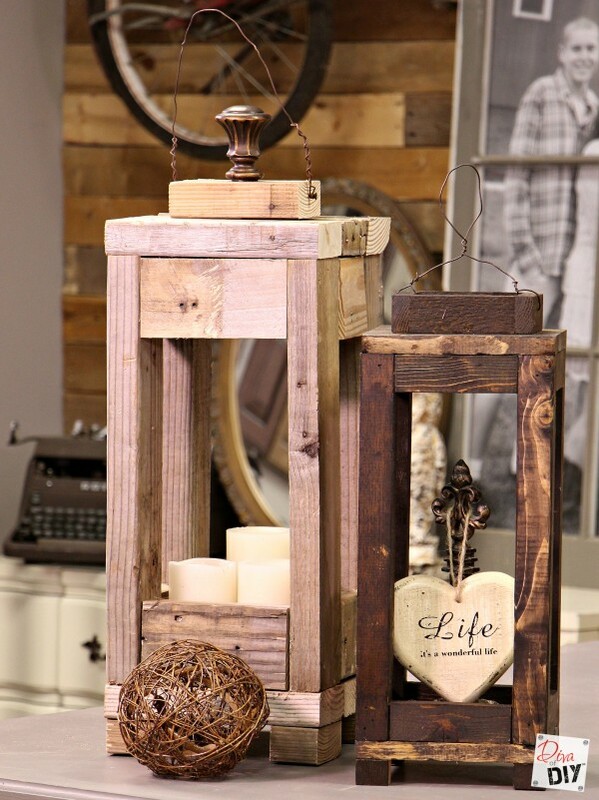 These scrap wood lanterns aren’t just easy to make. It’s exactly what you need to brighten up your outdoor space. I first made wood lanterns with 2×4’s I had left over from wooden pallets. I loved them so much that I decided that I had to make ones with new wood scraps that I had from other building projects. Aren’t they both gorgeous? I can’t decide which one I like better. I am sure these will end up working their way into my inside decor as well. I’m ready to put them all over the house. Stain or paint is optional. This is the stain I used. 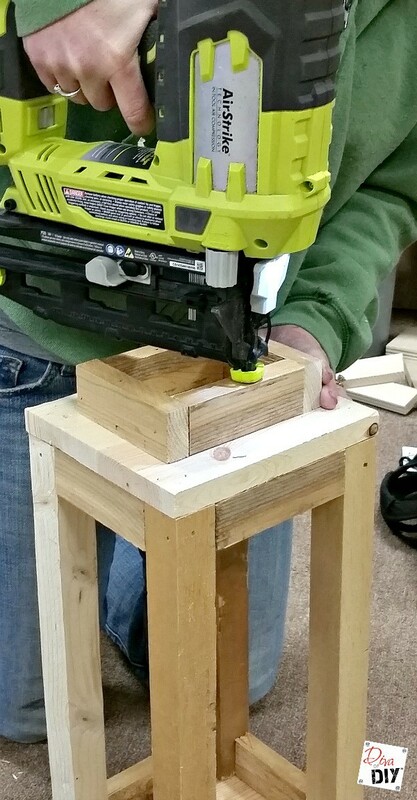 Step 1) Using a drop of wood glue and an air nailer , attach the four 12″ pieces to the corners. 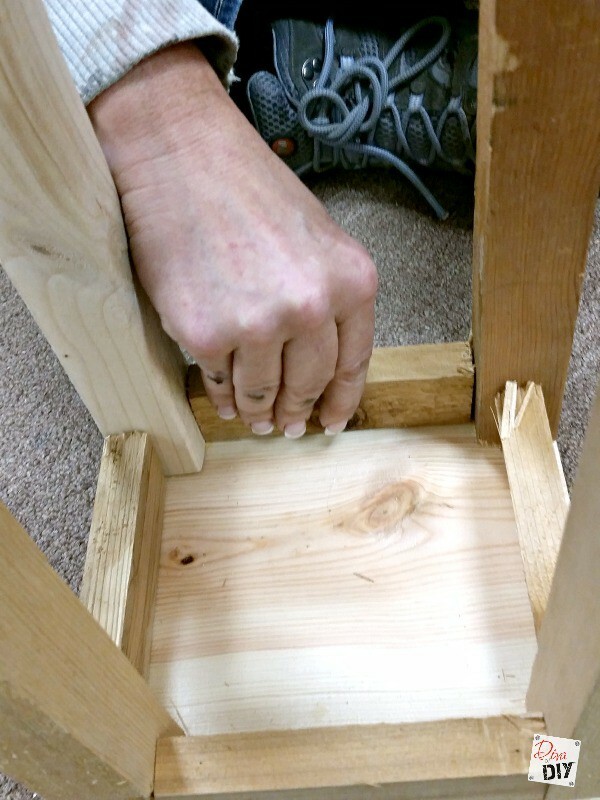 Step 2) Before flipping the board over, use a bead of wood glue and air nailer, attach the four 1″ pieces to the bottom side for the feet. 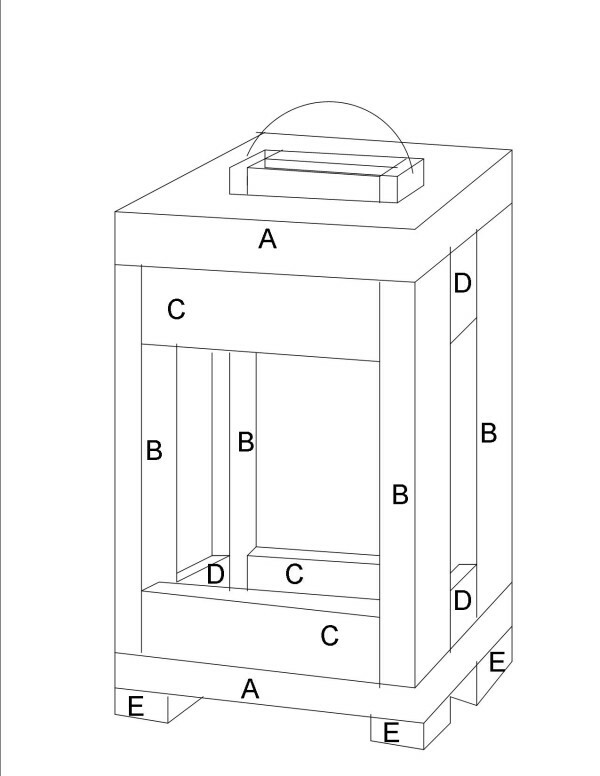 Step 3) Begin adding the 5″ side pieces to the top and bottom of the lantern between the 12″ posts. 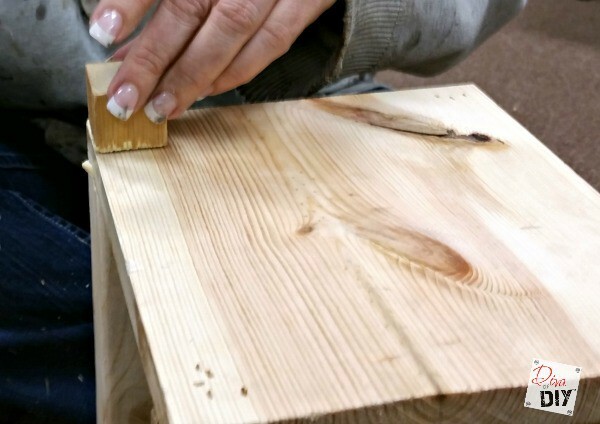 Make sure to put glue between two pieces of wood. 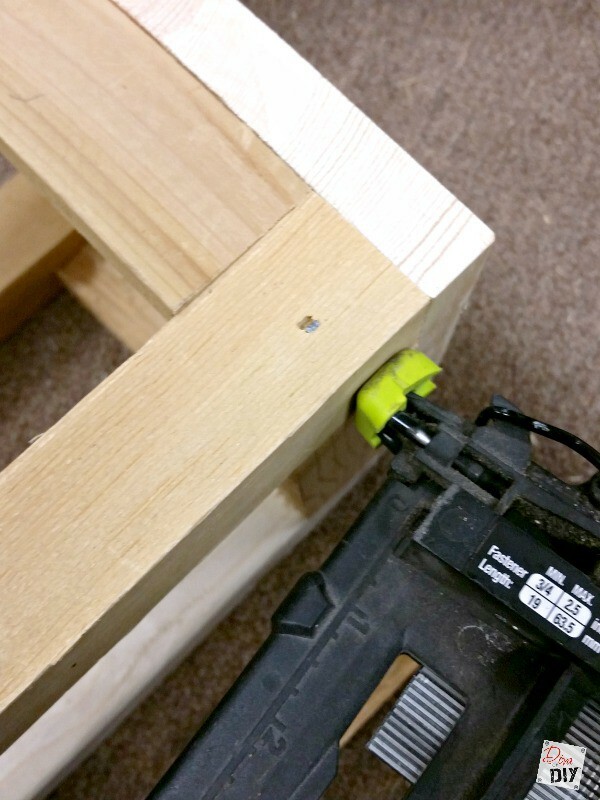 Attach with the air nailer or 2″ wood screws. 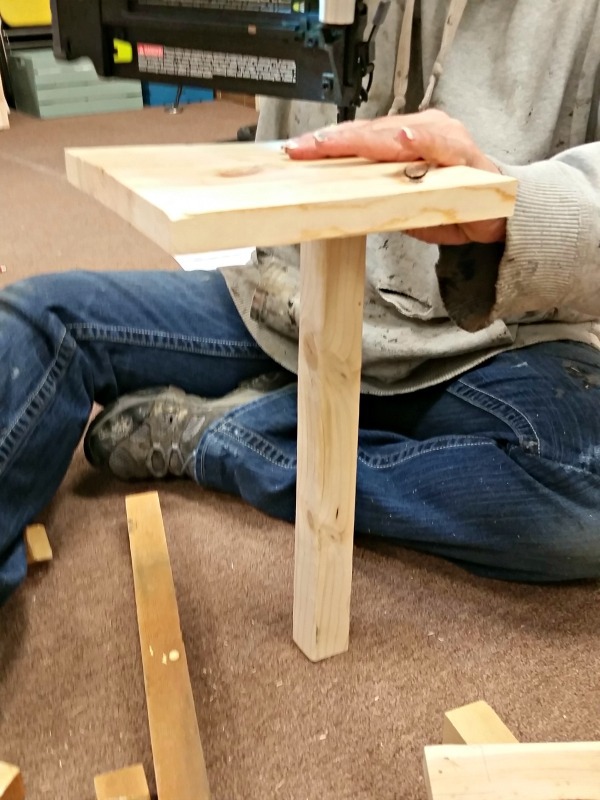 Step 4) Attach the top 1″ x 8″ x 8″ board to the top and attach with a bead of wood glue and the air nailer . 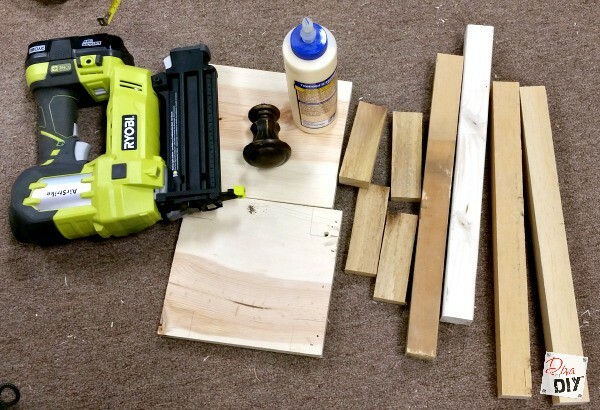 Step 5) Using wood glue and the air nailer, attach the four 3″ pieces to the top. Step 6) Using a drill and 1/4″ bit, drill a whole in each side . Thread the baling wire through the holes. If you don’t believe how much I love these outdoor lanterns just know that I am now working on a double lantern. Seriously, these are going to be the main focal point at the Lake House because I’m putting them right by the front door. I hope this inspires you to let your imagination run wild. Let your scrap wood pile speak to you and have fun making your own DIY Outdoor Lanterns. You will love them and your patio too! Looking for more scrap wood inspiration? Be sure to check out these posts! Love this!!!! So cute and easy. Thank you! Thanks Amy! You are right, it is easy and a great way to use up scraps! OMG! My daughter wants to use large lanterns for her wedding. Thank you so much! That is great news! Making these will for sure save your daughter lots of money! I would be over the moon if you share a photo of the lanterns at the wedding! Thank you for taking the time to let me know your plans for this project, it makes me smile! I love these! I have been looking for a lantern that I can convert to a solar light. Thanks so much for sharing!! I'm so glad you like them Michelle! Thanks! Love, love, love these!! I am working on my new patio and these will be a perfect addition to it, thanks for the inspiration!! I would like to invite you share it with us at our Sweet Inspiration party, which is live every Friday at my blog My Sweet Things. Have a wonderful weekend! wow, lanterns are so trendy right now!! I love them & you did an awesome job!! wow, I'm impressed!!! & thank you for linking up to our WASTE NOT WEDESDAY party!! it's fun to have you! Thank you Kellie! You're right, lanterns are awesome! Great idea, and these would look cute painted in any color! Thanks Toni! 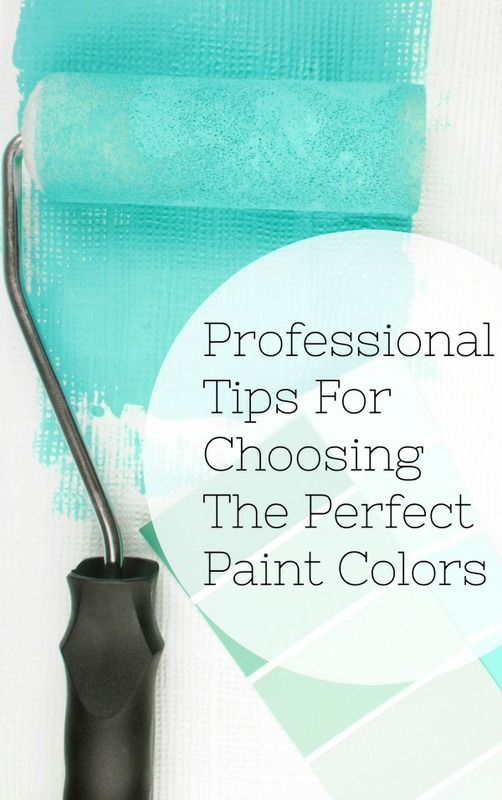 Yes you can paint them or stain them or leave them just as they are! 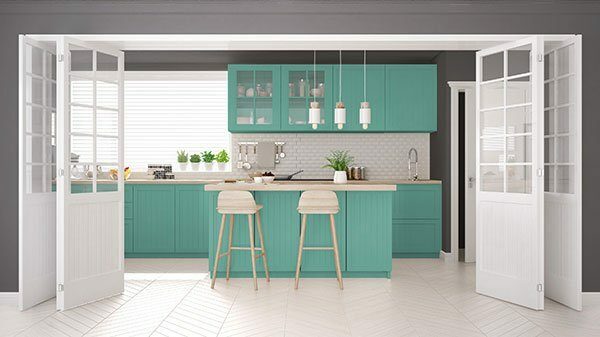 What did you use in the smaller one for decor? It's very cute and unique! Thanks for sharing your tutorial on this. Love it! It is a wooden heart with the saying on it that is hung from a easel hook. I have used it in so many ways! Thanks for stopping by Amy! These are awesome! It looks like you used different materials for the larger one. Did you use 2x3s/2x4s for that one? I actually used 2x4s from a pallet for those! I love using pallet wood for free wood!